We are featured in the new issue of Close Up, the regional business magazine from the Mid Yorkshire Chamber of Commerce. 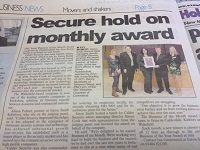 The magazine has covered both our achievement of ISO 9001 and winning the Business of the Month award. You can see the online version of the magazine here (we’re on pages 8 and 20!). We have also recently been featured in the Huddersfield Examiner and on the Wakefield First website. Businesses in Wakefield should also look out for the new local business magazine, Topic UK, which was just launched last week. The magazine has been set up to support local businesses and help generate growth for the Wakefield district. 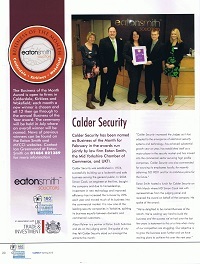 You can see the online version of the magazine here and our article about business security is featured on pages 8 and 9. If you are interested in getting a copy of the magazine or contributing to it yourself get in touch with Gill Laidler at Ghost Communications. next No Cause for Alarm?